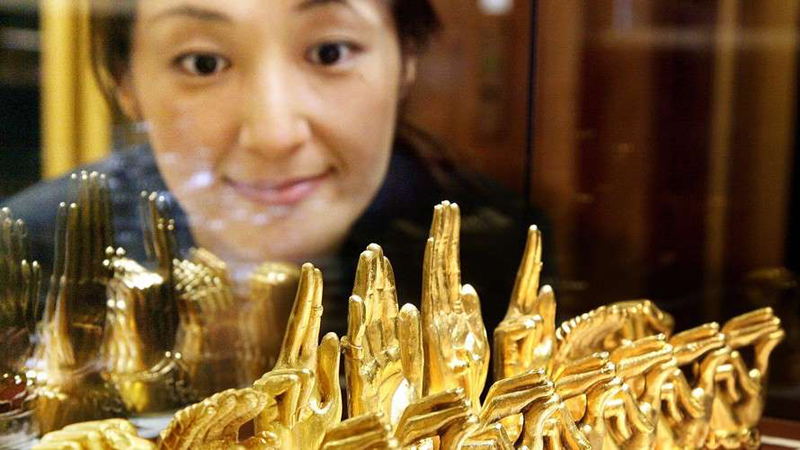 Market sentiment about gold has become irrationally exuberant, writes Mark Hulbert. That doesn’t bode well from a contrarian perspective. 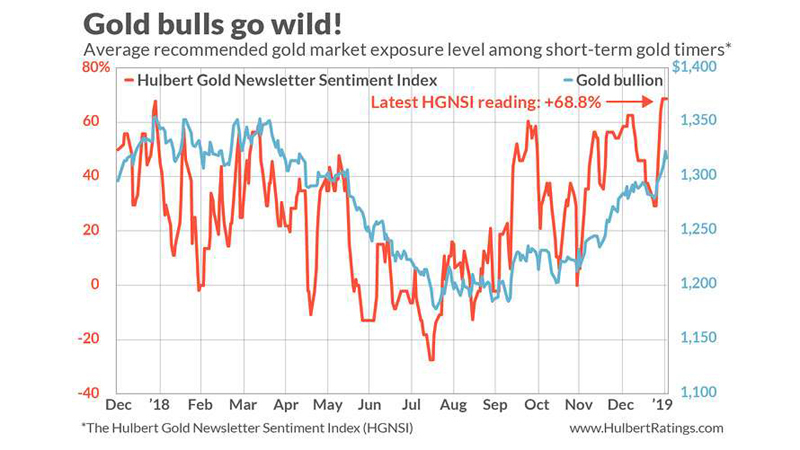 To be sure, contrarian analysts were worried about gold several weeks ago, the last time I devoted a column to gold market sentiment. Yet gold bullion (GCG9) has gone up about two percent since then. To appreciate why contrarians are worried, consider the performance of the VanEck Vectors Gold Miners ETF (GDX) , which is the gold mining stock ETF with the greatest assets under management. The table below shows the GDX’s average performance subsequent to the highest and lowest 5% of HGNSI readings since 2000. Notice that the GDX on average performs far worse following the highest readings.